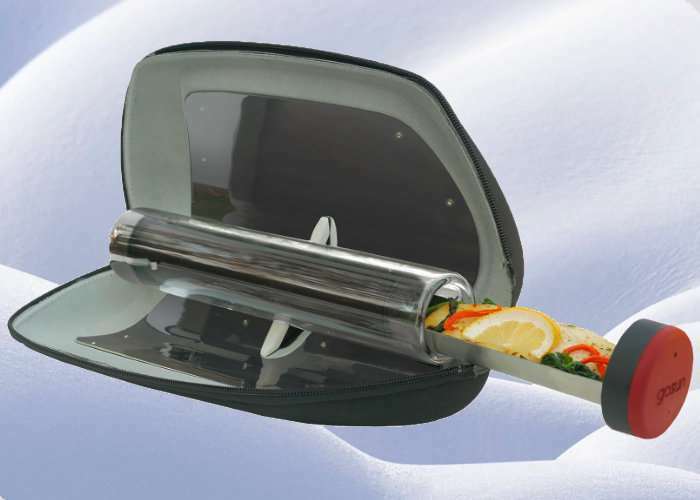 In some locations is not always possible to light a fire to warm and cook food, however if there is plenty of sunlight the GoSun Solar Cooker might be the perfect solution, it even cooks if the sky is cloudy. 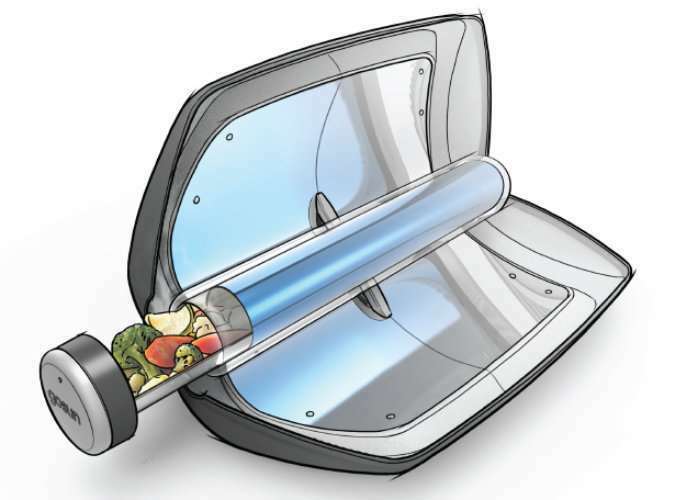 Created by Patrick Sherwin based in Cincinnati, the GoSun Solar Cooker can boil water and cook meals whenever the sun shines. Watch the demonstration video below to learn more about the compact cooker which is launched via Kickstarter this week and already raised nearly $60,000 thanks to over 470 backers. Solar power is the future and at GoSun, we’re making it more easy, fun and accessible than ever. Since 2013, our breakthrough solar ovens have reached more than 15,000 happy customers in +60 countries, in large part thanks to the Kickstarter community. (Thanks, everyone!) Listening to feedback from our community, our goal was to make a stove portable and durable enough to take anywhere, with the power to boil water, at a price point accessible to all. Just adjust the Go’s base and set vertically to boil. A removable cap detaches from the tray handle to keep the heat in. 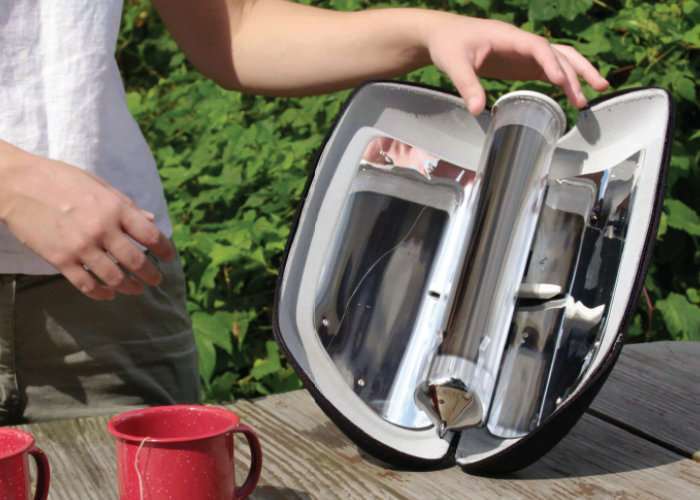 Perfect for tea, coffee, dehydrated foods and sterilizing water. Zipping up into a durable compression molded EVA foam clamshell, the Go was designed to absorb impacts. Completely submersible and saltwater tolerant, the Go is ready for adventure on land and sea.